1 Why Do You Need a Spearfishing Wetsuit? 3 Best Spearfishing Wetsuit Brands? Can it even be done online?! I’d love it if there was a silver bullet that helped you pick your dream wetsuit instantly…but that would require magic. There’s no hocus-pocus here, all I can give you is as much information as possible to help you make the best decision. If you’re like me, you’ll be overwhelmed with the options in picking a wetsuit. I grew up surfing, which left me with the impression that all wetsuits were easy to get on type with a zipper in the back. There’s closed-cell, open-cell, hybrids, Farmer John’s, high waisted, hoods, a plethora of thicknesses, protection pads, knife holders…the list goes on and on. Your main concern is the proper fit. From there, everything else is just an added bonus. After researching through countless forums, YouTube videos, and talking with spearos in my community, I’ve compiled a list of spearfishing wetsuits that you should try. Why Do You Need a Spearfishing Wetsuit? Therefore you’re going to need protection. If you’re lucky, you live in a warm water area where you can throw on some sunscreen, some board shorts, and grab your spearo gear and have the best time ever. For everyone else, you’re going to need a wetsuit. You’re going to be exposed to the elements, most notably, the sun. The sun can be brutal especially with the added reflection of the water bouncing even more rays onto your skin. Sunscreen can only protect you to a certain extent, therefore if you’re going to be out for more than 30 minutes, it would be wise to throw on the suit. If you’re diving in shallow water, you’re going to be exposed to rocks and reefs that can scratch and cut you up badly if you bump them. Sometimes you’ll be thrown into them by waves or the current…neoprene should take the damage, not your skin. Imagine you’re happily bringing in your catch and are about to brain it when all of a sudden it thrashes around leaving you a bloody mess as a goodbye present. Neoprene protects your skin from slices, pokes, and however, else a fish could invoke revenge. Also, depending on where you dive, neoprene protects you from animals that sting, like jellyfish. It’s almost always wise to throw on a wetsuit. Water pulls heat away from the body more efficiently than air does, therefore, even though you don’t feel like you’re cold, water colder than your internal temperature is still making your body work harder…which makes you tired. 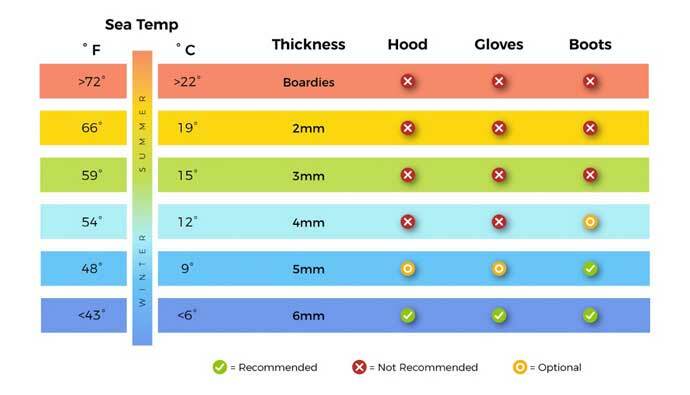 It’s important to know what body type you are to help you pick the right wetsuit. If you’re an ectomorph, you tend to be taller and skinnier, therefore you’ll likely look for the longer type wetsuits. You’ll see sizes such as ML which stand for medium-long which are stretched mediums. 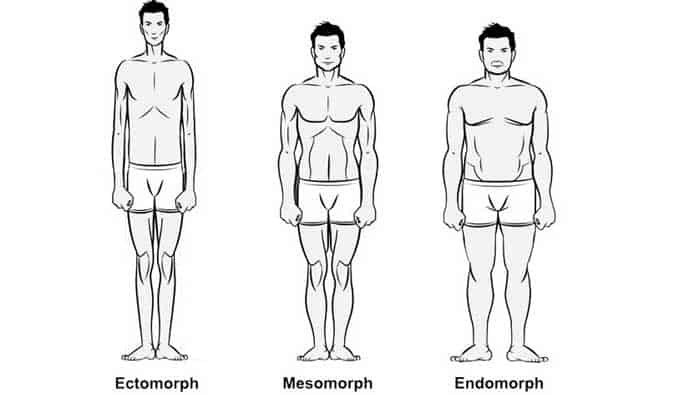 If you’re a mesomorph you tend to be in between the ectomorph and endomorph sizes. You’ll tend to be more of an athletic build. Many wetsuits are cut for this body type so your search shouldn’t be as difficult. If you’re an endomorph, you’ll tend to be a little wider than the other body types. It would feel more comfortable to get a size or two larger to help you have more room. The last thing you want to feel is constricted while you’re in the water, spearfishing is hard enough as it is…who wants to feel like they might pass out being squeezed by their suit. Wetsuits may seem complicated, but once you know the special terminology and the different model features, you’ll realize they’re simple. The main features include how much protection the suit provides, the quality of the material, the comfort, and the appearance. Let’s dive into all of these topics to help you inform your decision. The best spearfishing wetsuit is the one that fits properly and keeps you warm with the best flexibility for your application. As a spearo, having an open-cell interior suit is important because it adheres to your skin with no water flow. This means it’s warmer than the same thickness of a closed-cell suit, which has the nylon-lined inside. Let’s dive in a bit more to the different types of neoprene. Open cell refers to the fact that the interior of the wetsuit is not lined with Lycra or Nylon like your typical scuba suit. Calling it open cell does not reflect at all on the type of neoprene used. 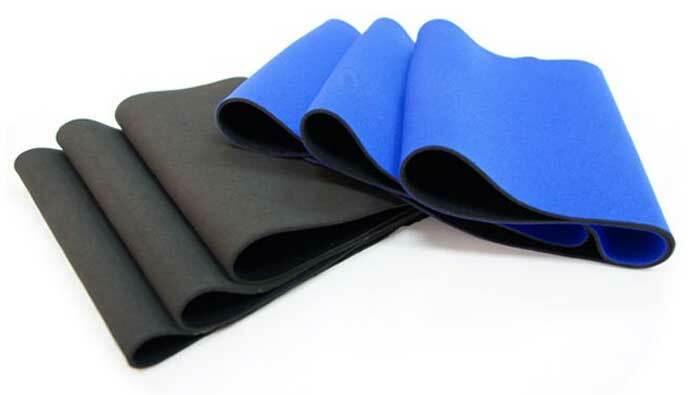 Although neoprene for manufacturing wetsuits varies greatly in quality, ALL neoprene used for wetsuits is a closed cell. Open cell means the tiny rubber walled cells filled with air that make up the neoprene are interconnected, not sealed from each other. In closed cell neoprene, the microcells are sealed from each other, if the walls of one break air or water will not pass through the cells adjacent to it and the material remains impermeable. So to reiterate ALL neoprene used for ALL wetsuits is a closed cell. The best spearfishing wetsuits have a lining (Nylon or Lycra) attached to both the exterior and interior surfaces. What we’ve come to know as “open cell” suits have a lining (Nylon or Lycra) attached to the exterior surface and raw smooth neoprene as the interior. This raw smooth neoprene interior is a product of the cutting process that reduces the neoprene to the required thickness; 3mm, 5mm etc. The exterior neoprene surface under the Lycra lining is actually the same as the interior. 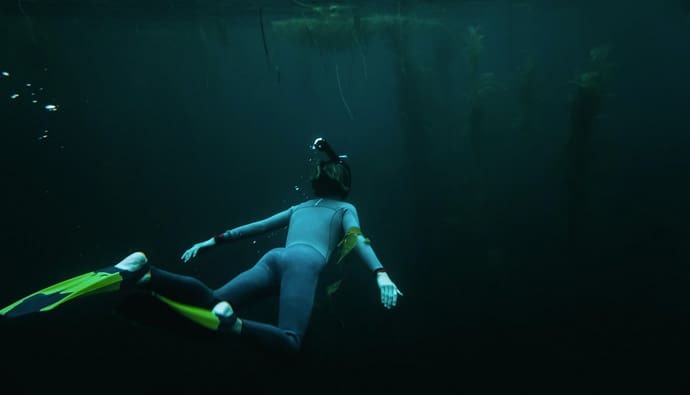 Use a lycra suit when you’re diving in the warm water and just want added protection from the sun or little critters that might be drifting in the current. Make sure you get one with a loading pad otherwise you’re going to be left with bruises from loading your gun. Thermals provide extra warmth while you’re in the water. They tend to have a fleece liner or a titanium lining. If the thickness isn’t an issue go with the fleece liner, but if you need something thinner, but still warm, pay the premium and go for the titanium. A full body wetsuit is the most common type sold. If you’ve ever seen a surfer, this is the style they wear, where the legs and top are combined into one long suit. This is a nice option for those spearos getting into the game as it provides an easy to find a suit for not a lot of cost. The downside is that the suit will tend to not keep you as warm while diving and the zipper in the back can be a place that lets the water come into the suit easily. One difference between a surfer wetsuit and a spearfishing wetsuit is the padding. Most surfing wetsuits have a little knee padding but not much else. Make sure your wetsuit has the chest pad for loading your roller speargun, otherwise you’re going to be having lots of bruises. These suits will not be as comfortable as a good two-piece. Let’s figure out why. Two-piece spearfishing wetsuits provide more warmth at your core because they tend to have an overlap of material between the legs piece and the upper body piece. They tend to be open-cell, which means you’ll need lubrication to get on, but once they are on they’ll feel like a second skin. Two piece suits come in two styles: Farmer John and high waist. Farmer John’s are an overall style which means the bottom portion will be held up with the aid of two shoulder straps. This piece covers a majority of your body even before the top is put on. This provides extra warmth for the diver. The high waisted style has the bottoms come up around the belly button and is not held up with anything except friction from your skin. This style will provide a bit less warmth, but it’s easier to take off if you need to use the restroom when compared to the Farmer John style. Wetsuit thickness is one of the most important features because it dictates how warm the suit will be for the diver. Wetsuits come in a variety of thicknesses from as thin as 1 millimeter all the way to 7 millimeters. The most common sizes are 1.5mm, 2mm, 3mm, 5mm, and 7mm. If you live in a place where the water fluctuates temperature drastically, it’s best to have a few different suits with different thicknesses. But, wetsuits can be expensive so if you can’t buy more than one, pick one in the middle and dress up or down depending on the conditions. 1mm-2mm: Use in warmer water. These will also provide protection from wind and the sun. 3-5mm: Us in cooler water. This thickness will also help keep you in the water longer even if the water doesn’t feel super cold. Being in the water cooler than your blood’s temperature will make your body expend energy to keep the body warm…this means less spearo time. 7mm: Use this for really cold water. The thickness will likely make the suit less comfortable and feel more restrictive, but it’s worth not getting hypothermia. When it comes to spearfishing wetsuit colors, it’s all about choice. There’s not much research stating that a specific color or pattern makes you invisible to fish, so until that happens, pick whichever one you like. A lot of suits now come with camo patterns which look sweet! Some spearos recommend that if you are diving in blue water then you should get a blue wetsuit. If you’re spending more of your time near rocks then go for a brown suit and if you’re by a reef, get a green one. If you have the money, get one of each and test it out. Elios Sub has been making tailored diving suits since 1977. They are in Italy, but ship all across the globe. They pride themselves on being one of the most innovative wetsuit companies around. If you’ve got the money and want not an off the shelf wetsuit, spend it here. These guys are based in British Columbia and have put their suits through the test in the Canadian West Coast. Their suits are built with strength and style in mind. They can hold up under extreme conditions and be that they are used up in Canada, then they must be pretty warm! The efficiency of a wetsuit is mostly determined by the perfect adhesion of neoprene to your body’s shape…That’s why Polosub firmly believes in made to measure wetsuits. These guys started in 1994 in Rome and focus on freedivers and spearfishers. If you’re in need of wetsuit for your unique body size and shape, try these guys. Yazbeck is known for their uncompromising adherence to quality wetsuits. Roger Yazbeck has been breaking the mold for decades. His love for conservation and making products that don’t harm the environment is another big reason to buy from them. 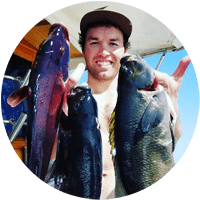 Jim Riffe created an outstanding company who focus on quality products, as you probably already know from their large wood spearguns, and their focus on ethics and conservation for spearfishing. You can’t go wrong with Riffe. Omer is based in Italy and those in the know will tell you that their products are great. I was recently at a spearfishing auction and some of the highest bidding products were OMER wetsuits…maybe that means something! Dan over at Mako has been making a name for himself in the industry. You can see it all over the internet, their customer service is top notch and that speaks volumes in today’s age. Watching Dan test out his products himself and shares it with you online shows real skin in the game. Much respect! The fact that he goes directly from the manufacturer to you without the dive shop middle-man is awesome because instead of taking a huge cut, he passes the savings on to you. Rob Allen has made a name for themselves with their spearguns and now they are doing it with their wetsuits. Many spearos tout about them. They have a solid size chest pad too, which is important especially when you’re loading the big guns during your bluewater sessions. HexSkin have come out with some of the most advanced patternings on a wetsuit which is suppose to help you catch more fish. They are a company passionate about nature and adventure. Test them out and let us know what you think! Another great company who make comfortable wetsuits. Their name was dropped many times by the spearos in Spearboard. Taking care of your spearfishing wetsuit is important for the longevity of the suit. It’s better to take care of them quickly after each outing, rather than waiting for a big issue to arise making you need to get a new suit. If you are using a close-cell style suit, putting on the wetsuit is straightforward, just throw it on. If it’s tight for any reason or hard to get on, try putting your hands and feet in a plastic bag to reduce some of the friction. For open-cell two-piece suits, it’s a little trickier. You’ll need to use lubrication. May favorite choice is liquid baby soap. Just put a few tablespoons in a shakable water bottle, add some water and shake it until there are foam suds. Then put the soapy water mixture inside the suit and make sure it’s fully lined with the suds. Put your arms and legs though and watch it slide right on. Taking off a one-piece suit is as simple as unzipping and pulling out your arms and legs. I recommend standing on a wetsuit mat so that you don’t get any tar or debris from the parking lot on your suit. Taking off a two-piece suit is a little trickier. Unclasp the buckles near the crotch, then pull the bottom of the jacket top over your head and pull out your head and arms. Take off the bottoms like normal pants. Washing your wetsuit doesn’t have to be complicated. I recommend after taking it off that you rinse it good with fresh water and let it dry in a warm place outside of direct sunlight. If you need to use soap to get off tar or other grime, make sure you use one that’s not going to damage your neoprene. 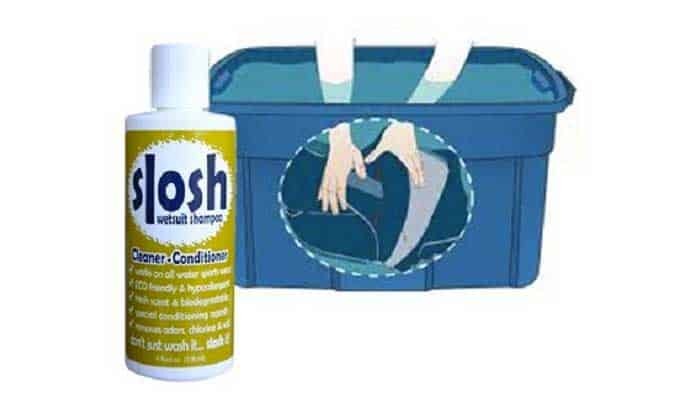 Jaws Slosh Wetsuit Shampoo, 4 oz. Sometimes if you aren’t diligent about cleaning your wetsuit after each dive, your suit will begin to develop an odor. This is more common in closed-cell suits due to the extra nylon material. Just pick up a good wetsuit shampoo and after a few treatments, your suit should smell good again. Determine the average and high/low of the water you’ll be diving the most. Pick the thickness you’re searching for. Determine if you want to a tailor-made suit or off the shelf. Do you want open-cell or closed cell? Farmer John style or high-waisted? Measure your various body parts to help you navigate size charts. Pick the color and pattern for your conditions. When in doubt, just go black. Get a wetsuit shampoo for the occasional cleanings. Keep your suit out of the sun when not in use. Don’t store it on a hanger as it might overstretch the shoulder area. The Tecnica is the 2-pieces wetsuit designed for spearos. It is made with a special computer molding technology of camouflage, which maintains the softness of the material very high. Completely made in Neoprene Ultraspan to offer the ultimate in comfort, freedom of movement, ventilation, and dress. Nylon patches in correspondence to the upper part of the jacket, cap, and calfskin. The interior is coated with Black Metallite, a material that guarantees great wear and tears and makes it easy to put the suit on and take it off. Both the arms and legs of the suit are ergonomically preformed to fit the natural position of your body for added comfort and fit. The high top pants have durable Powertex knee pads. High-wasted trousers with watertight Smoothskin seals at the ankles and waist. Built-in hooded jacket (don’t worry, it won’t get in the way of your low volume freediving mask), elbow reinforcements and ample stern support for rifle loading. Inguinal closure with hanging hooks. If you need some light protection, check out this 1.5mm Wetsuit Shirt. 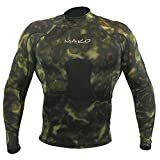 The MAKO Spearguns (they also make travel pole spears) wetsuit shirt is perfect for warm water diving. It’s perfect for warm water diving to protect against sunburns, jellyfish, and triggerfish. It’s not going to keep you too warm, but it will protect you from the sun and various underwater pointy things. The shirt is made of stretchy Lycra material with a layer of 1.5mm neoprene in the torso for added warmth and has an integrated chest loading pad for extreme comfort while loading and unloading your speargun. The Salvimar Atlantis Blue Camouflaged is a two-piece wetsuit that’s 1.5mm thick. This is a great suite if you are diving in the warm water and want a solid layer of protection on your whole body. If you’re spearfishing it helps to have a solid chest pad so you can load your gun, which can be lacking in thinner warm water wetsuits. Salvimar makes quality wetsuits and this one is no different. If you’re looking for a well-priced lightweight wetsuit than this is the one you should try for your next warm water adventure. 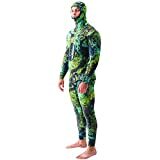 RIFFE Digi-Tek Camo wetsuits are a true digital camo that has proven to blend the diver into almost any ocean environment. This wetsuit uses Yamamoto 39 neoprene and has a better stretch outer Lycra material, offering you more flexibility, better feel, and better comfort when swimming through the water. The neck, face, wrist and ankle seals are completely camo. The 3.5mm is perfect for nearly all cool to warm water diving. This would be a suit if you’re in Southern California and plan to dive off the coast for more than a few hours or even try the oil rigs from a boat. 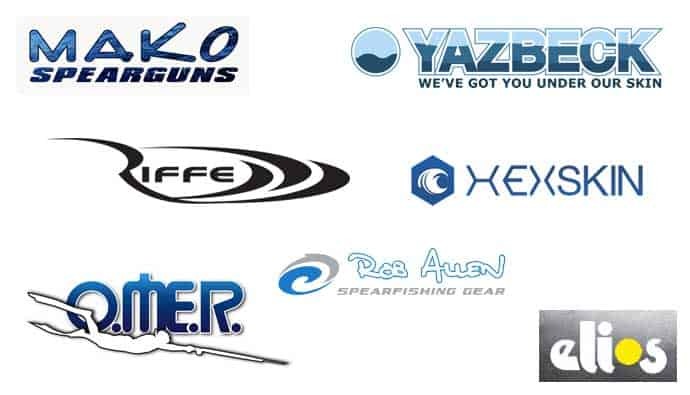 Mako has made a name for themselves when it comes to getting you high-quality gear at near factory prices. Dano works directly with manufacturers and has a great direct to consumer model where he passes on the saving on to you. This wetsuit is no different. It uses the same Yamamoto neoprene and he even had it certified by Tomizo Yamamoto, the president of the Yamamoto Corp to ensure its quality. Being 5mm and the farmer john style, this suit will keep you warm. Don’t wear this suit in warm water otherwise you’ll get fatigued from the heat. Use this in cool to cold water and especially at night when you’re going for lobsters! If you’re going down deep…this is your suit. 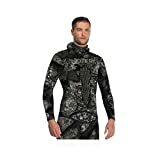 This Omer wetsuit is by far the most stylish with the dark digital camo print. If you’re diving in an area that is extremely cold then this suit will keep you nice and toasty at 7mm. The chest pad is also large so you can load your gun from your belly-button all the way to your solar plex. Sometimes with the thicker wetsuits, you need all the flexibility you can squeeze out of it. This suit is extra flexible so you should have no problems gliding through the water and making the kill. 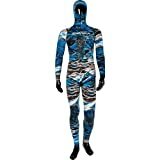 This suit is also great for freediving if you’re in a colder area. You can start with a closed-cell wetsuit, but eventually, you’ll go to open-cell as the comfort cannot be beaten. The Farmer John style is good until you have to go to the restroom. It’s better to spend a bit more for quality on the suit that’s keeping you alive in the crazy ocean.